Several years later when I decided to train for my first marathon, Miles became my coach. 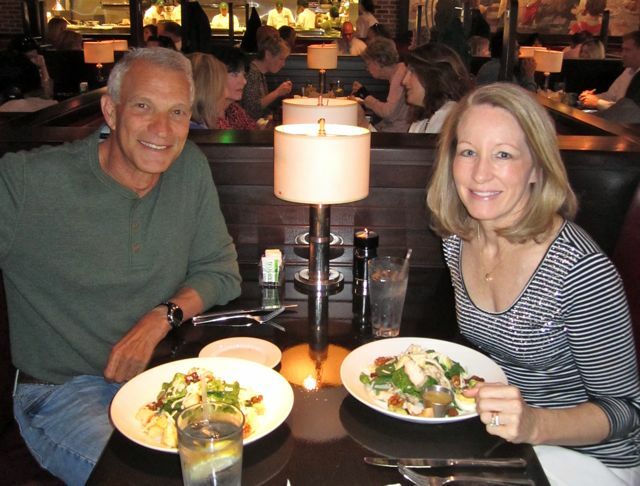 He gave me an 18-week marathon training schedule that had me running 50-miles per week. As I mentioned on Saturday in my post, Love To Hate Speed Work, Miles invited me to join his Wednesday lunchtime all-guys group that met at a local high school track to do speed work. Other than meeting the guys on Wednesdays, I ran all of my other training runs alone. When my big day came, Miles and another friend, Ed, joined me at mile 12 and paced me for 14 miles… reminding me to take my GU, grabbing water for me at the water stations, and keeping me focused on my goal of finishing my first marathon (and within my goal time). 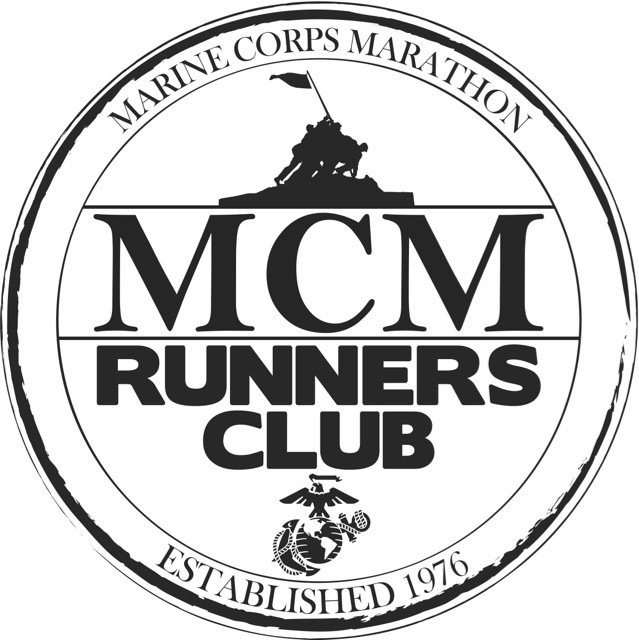 The following spring after I had run the Marine Corps Marathon, the JFK 50-Miler, and the Boston Marathon, I was offered a job as a coach of the National Aids Marathon Training Program. Miles was my mentor as I took on my first coaching job. Many years later we still bounce running and coaching ideas off of each other. 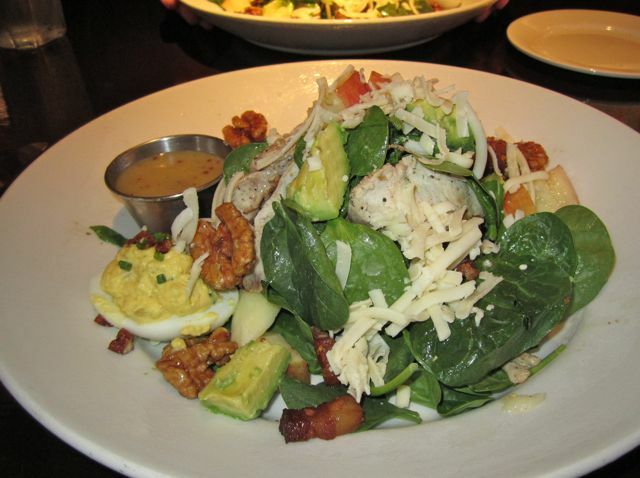 At Jackson’s I ordered a delicious Roasted Chicken Salad with baby spinach, walnuts, apples, avocado, bacon, white cheddar cheese, and pomerey mustard vinaigrette dressing. It came with a deviled egg with pecans on the side. Bonus! 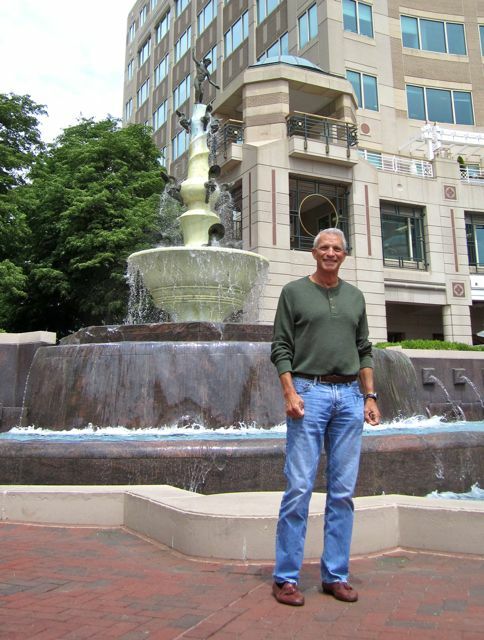 After lunch we walked around Reston Town Center for a little while and I snapped this picture of Miles in front of the fountain. BTW, that’s Mercury on top of the fountain. I wanted a picture of Miles with Mercury, because I thought Mercury was the Roman god of athletes/runners. Wrong… He was the god of commerce, trade, and financial gain; but he does have a winged hat and feet and I’m sure that would make him a very fast runner! After a little research, Bill and I have learned that the Roman god Mercury, who originated from the Etruscans, is closely associated with the Greek god of athletes and runners. Woot woo! I WAS right! Sort of…. While at RTC, I stopped in at Athleta to see what kind of trouble I could get into. I came prepared with my credentials and signed up for their personal training program to receive a professional discount of 30% off when I shop at their store. Score! Soooo………… of course I had to purchase a new skirt and this cute little coral top for work. Don’t you just love the recycled plastic shopping bags they use! New work skirt and top! 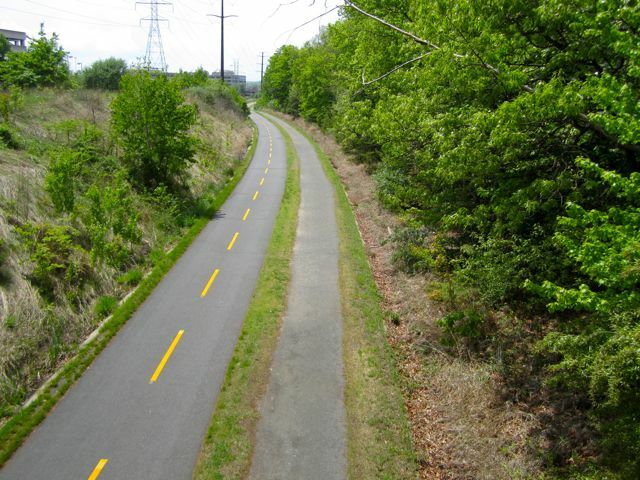 You hear me talk about running on the W&OD Trail every Saturday. 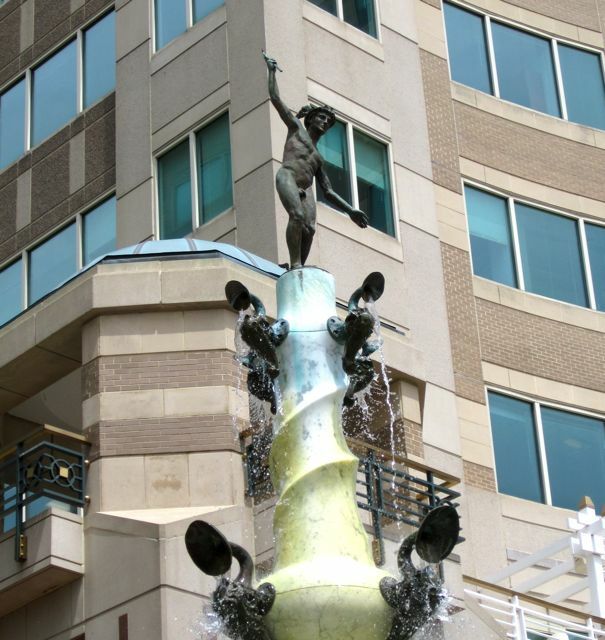 It also runs right by Reston Town Center. I took this picture so you can see how the horse’s gravel bridal path runs parallel to the asphalt trail. I really am lucky to have such a fabulous running trail! Who did you think was the Greek/Roman god of athletes/runners? 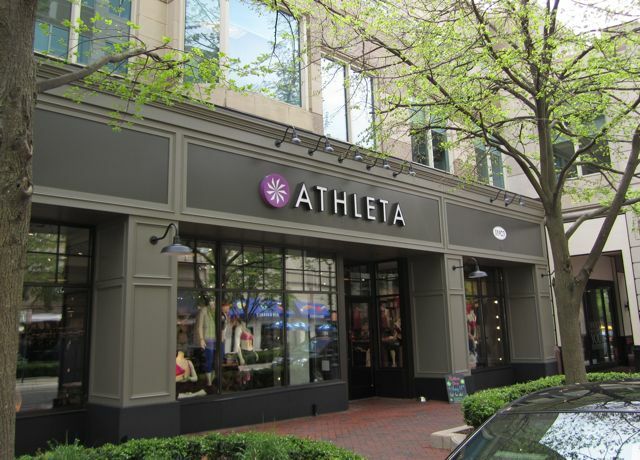 Have you ever shopped at Athleta? Tell me about where you run. 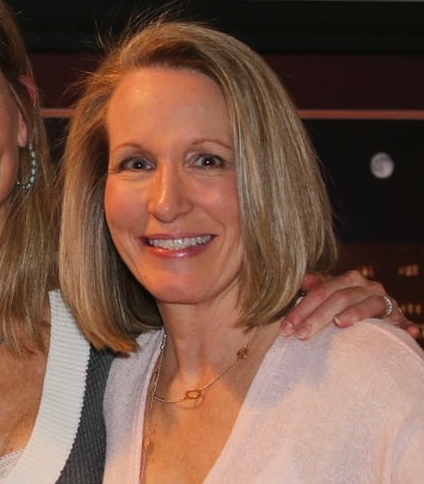 I haven’t shopped at Athleta. I’m toying with the idea of using birthday money to buy a running skort from them online. I’m also considering buying something at our local running store instead. We’ll see! 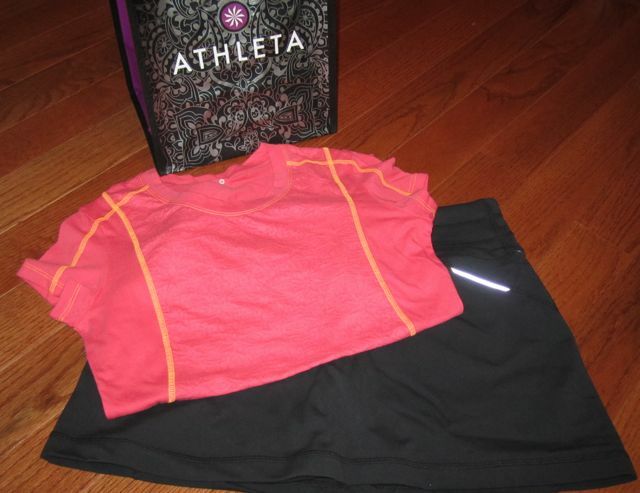 Oooh…Athleta is a dangerous place for me! Especially since their emails are always sent in the “middle of the night” for those in the US – aka, “during my afternoon lull/super-distractable-time” for me in Singapore! And we spent about 5 weeks last winter touring around Greece and Italy, puzzling out the differences and comparisons of the Greek and Roman gods and goddesses. Finally, we found a handy reference guide at a museum, which I promptly snapped a photo of and used for the rest of our trip! I need a fun coach/ need to become one. That’s my goal- running coach and health coach. Any insight into going about doing that? I’ve found a 6-week online course through Dr. Sears (loved his baby nutrition books) for health coaching, don’t know where to start with running coaching! S.O.S Debbie! 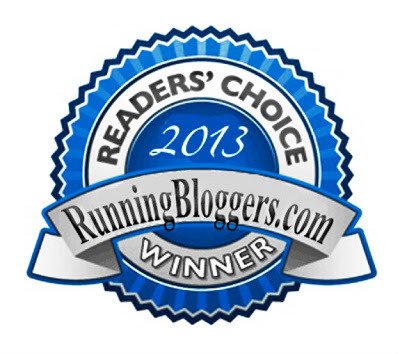 Have you checked into Road Runners Club of America’s certification courses? It might be a good place to start.